Download a tile image and open it in Photoshop. Choose Edit > Define Pattern, fill in the pattern name in the dialog, and click OK. Choose the Paint Bucket tool and select Pattern as the source for your fill. In the Pattern Picker, choose the pattern you have just defined. 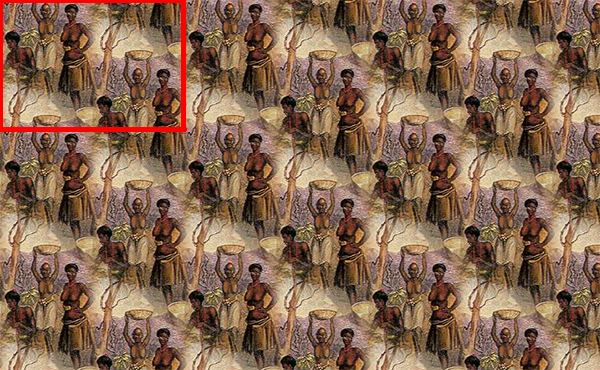 Click anywhere in the image area with the Paint Bucket tool to fill the area with your pattern. A tile from Pattern Central and a pattern created from the tile. If you are printing a shared pattern on fabric, you can just send a tile from Pattern Central to your printer, be it first2print, Sano Design Services, Fabric on Demand, Spoonflower, or another service provider. And if you are creating a webpage, the tile image is exactly what you need to allow your web browser to do its magic. We’ll give a few examples of that in another post. 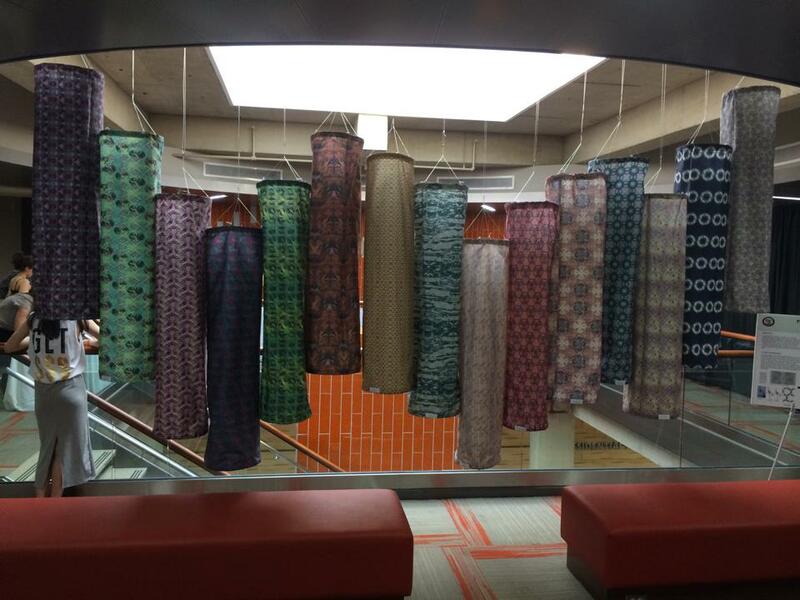 Cotton collection fabric created in Artlandia on Runway 7. 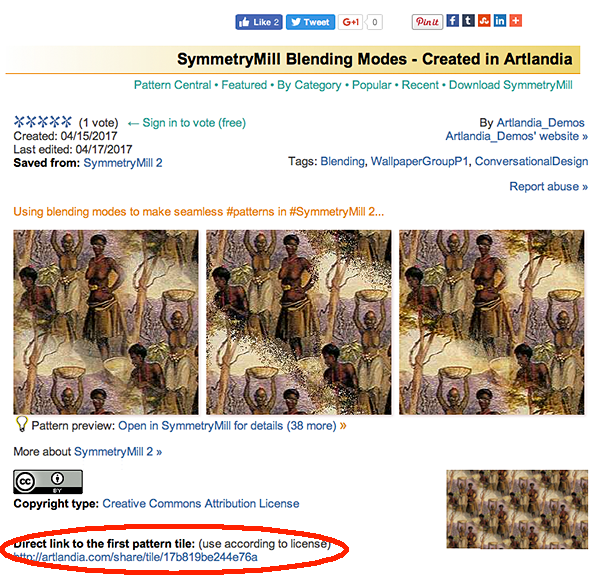 Finally, if you prefer some other pattern from a shared set (not the first one), you can always get it the old-fashioned way: drop the pattern set onto SymmetryMill and export (save) the image tile for the pattern you like. Note that you can do that even in the limited (demo) version, without a subscription. So head off to Pattern Central, try the new tile links, and let us know how you like the new feature!